The round duct elbow locking machine produced by our company is special equipment for processing the locking of the sheet metal round pipe and the duct elbow (shrimp bend). By adding or removing special washers under a set of rollers, two types of beads can be rolled out at the nozzles of the metal round tubes, and then the nozzles of the two types of beads can be connected on the other set of rollers (formation). The machine has the advantages of reasonable structure, stable performance, practical and efficient, and convenient operation. The size and angle are accurate; the air duct after the locking is well sealed and durable. According to the processing capacity and range, the round tube elbow locking machine produced by our company can be divided into XMWT-700, XMWT-1000 models. 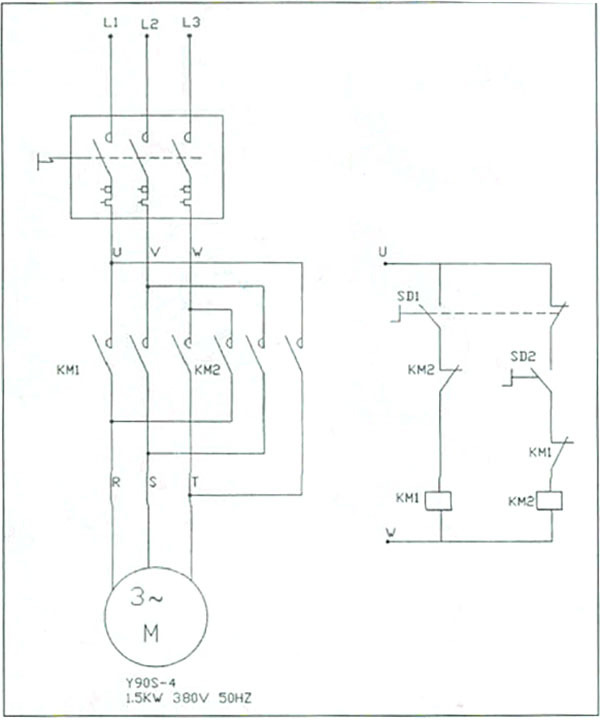 Both use two independent drive system. Each set of rollers can be operated separately, and two people can complete the bead pressing and joining process at the same time. 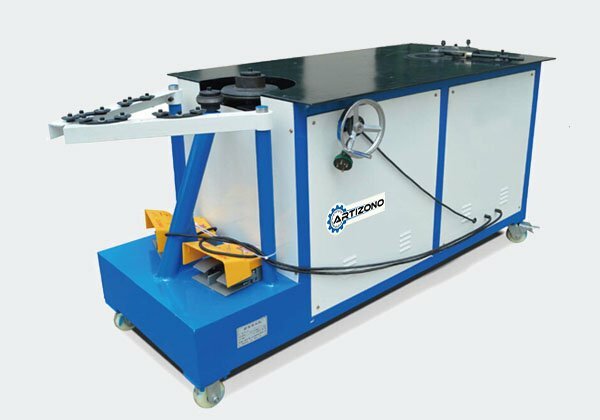 The angle steel and the steel plate are welded and assembled, the overall rigidity is good, and the surface of the work table is chrome-plated. It is equipped with two sets of completely independent transmission mechanisms, each consisting of two rolling machines, a first-class V-belt, a first-stage worm gear and a first-stage gear transmission. There are two rollers and one positioning wheel when forming the bead. When connecting the beads, it consists of two rollers and four arm support rollers. A foot electric switch that controls the direction of rotation of the roll, and an adjustment hand wheel that controls the feed of the roll. First, select the corresponding roller and pad according to the thickness of the sheet metal and the diameter of the pipe before the operation. Before rolling the bead, adjust the distance (a) between the roller B and positioning worktable. 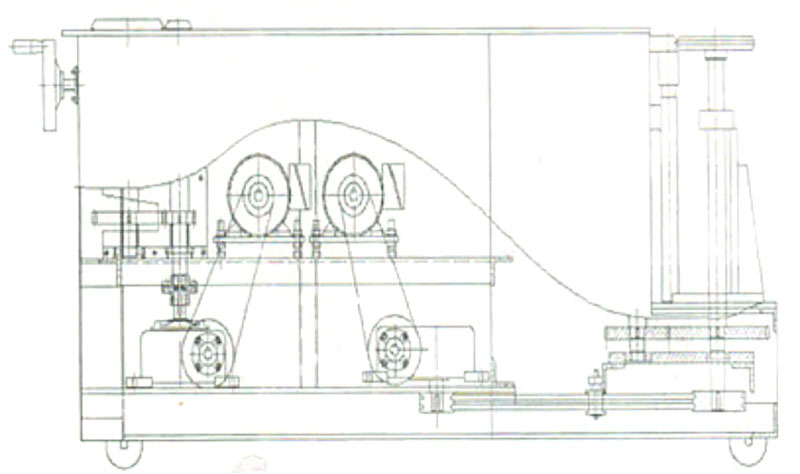 Two types of bead shapes are formed on the rollers A and B, respectively. Generally, when forming the bead, a≈4-8 mm. The distance between lock surface A and B b≈sheet thickness+0.2mm. When the machine is delivered from the factory, the value of a has been adjusted according to the height value (≈4mm) required to produce the bead type. The gap b of the locking surface of A and B is adjusted according to the gap of the sheet with a thickness of 0.8 mm. Note: The height of the A and B wheels can be changed by adjusting the round nuts mounted on the main shaft under the A and B wheels. When producing the bead, it is only necessary to install a gasket with a thickness of 4 mm or 5 mm (for the sheet with a thickness of 0.8 mm and above) under the A and B wheels, and the gasket with a thickness of 4 mm and 5 mm are attached randomly. 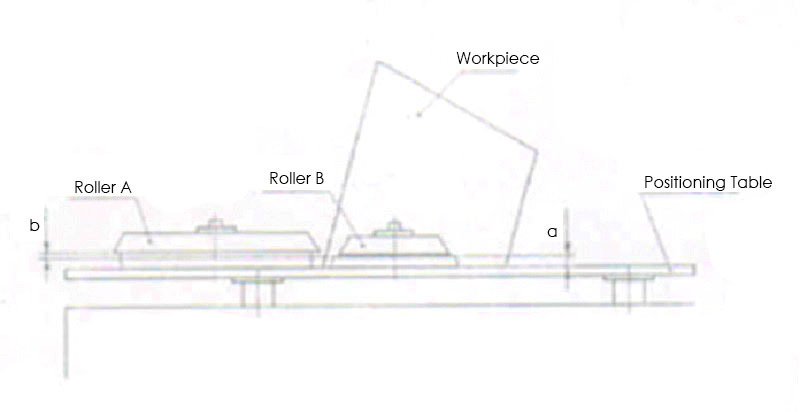 When starting up, observe whether the direction of rotation of the roller is correct. Make sure that the roller rotates in the direction indicated. (Roller A rotates counterclockwise). 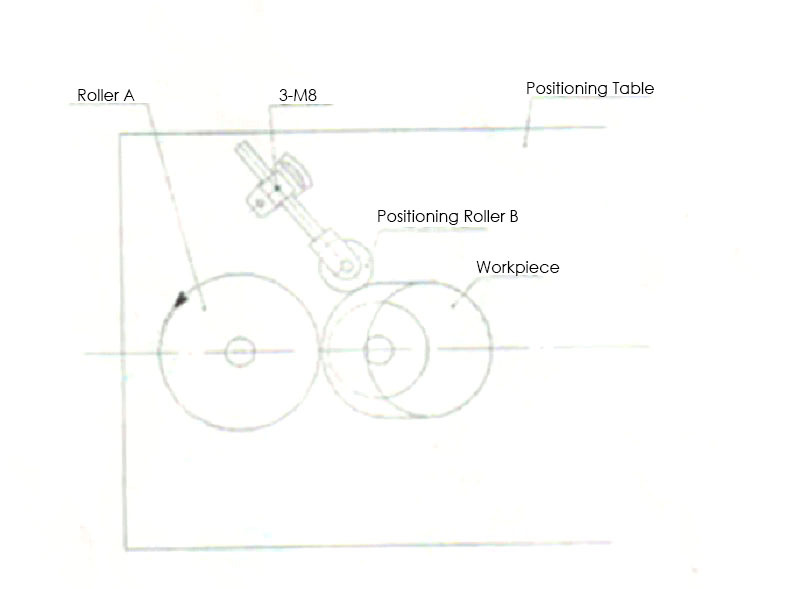 When forming, place the workpiece on the positioning table, adjust the 3-M8 screw on the positioning table, and let the positioning wheel stick to the workpiece (as shown in Fig 4) to control the swing range of the workpiece during the rotation. Gently press the top of the workpiece feeding side by hand to make the bottom edge of the workpiece feed the positioning table, then turn the handwheel to make the roller A slowly press the roller B until it is formed. When connecting the round duct, first insert one end of the round tube into the bead of the other tube, and select several places on the diagonal circumference of the bite to lock the two beads with a hammer or wire cutter. Then put it between the second set of rollers and rotate the handwheel so that the roller gently presses the seam. Then adjust the height position of the support frame and the position of the two support arms. 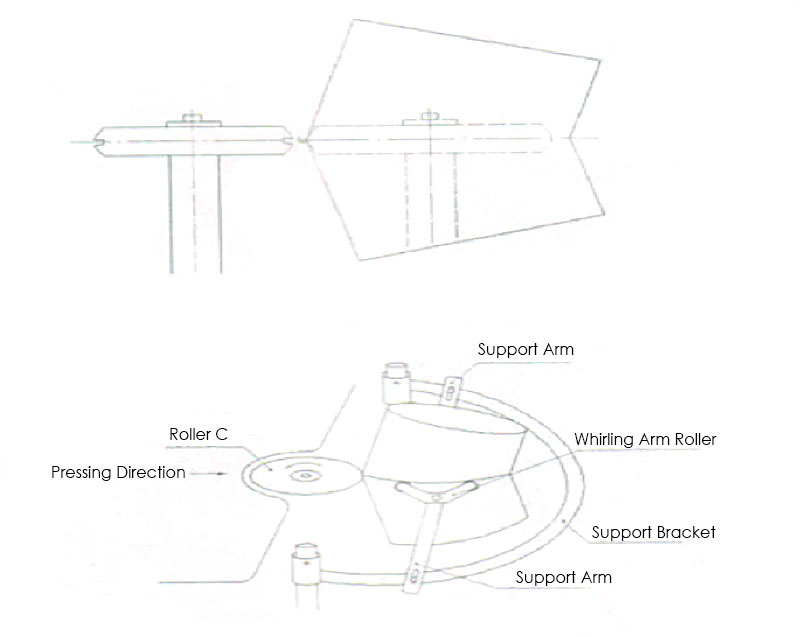 Use the whirling arm roller on the support arm to support the round duct to keep the duct connecting seam level and make it can rotate smoothly without falling off during the joining process. After starting up, rotate the handwheel to slowly press the roller C against the other roller so that the interface is press-formed. Before work, check whether the clearance of each adjustment part is reasonable, and conduct a test running to observe whether the machine is running normally and whether the rotation direction of the wheel is correct. The relative moving parts of the machine should always be kept clean and filled with the required lubricating oil or grease. The material must be cleaned before rolling, and no debris such as sand or iron filings should be adhered to avoid damage to the roller. The thickness of the workpiece should not exceed the maximum thickness allowed by the machine to avoid unnecessary damage to the machine. If an abnormal phenomenon is found during operation, it is necessary to stop the machine and start inspection immediately to find out the fault and prevent the machine from continuing to work. The gearbox must maintain a sufficient oil level and regularly fill the gearbox with the right amount of lubricant adapted to the local environment. The machine should be well grounded, and maintenance and adjustment work must be carried out with shutdown and power off. Regularly add calcium-based grease to each bearing or gear, but do not add oil to the roller to prevent the material from slipping. Frequently remove dirt such as iron filings on the surface of the roller to protect the wheel and ensure the quality of the processing. Regularly check the tightness of the V-belt and make appropriate adjustments if necessary. The elbow machine does not have a high requirement for the workplace, just place it on a relatively flat cement floor. It is suitable for both work in the factory and works at the installation site.